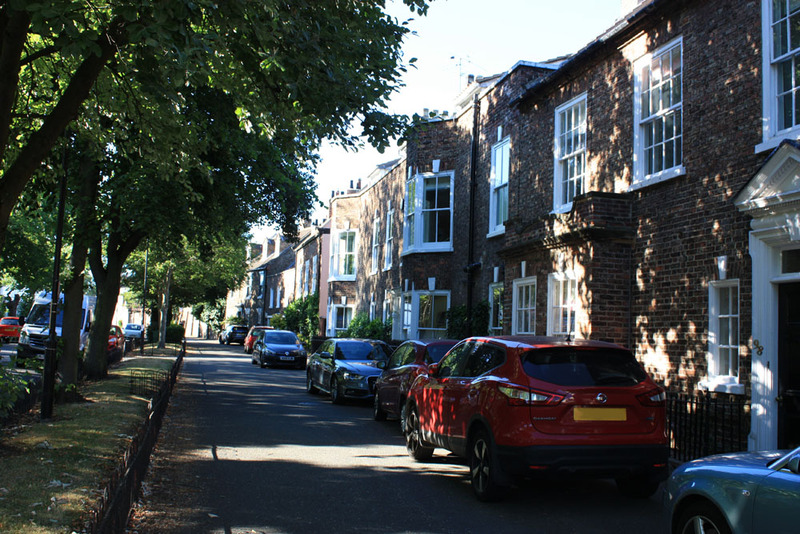 DAVID SIMPSON explores twenty different villages across the region including some hidden away inside our North East towns. 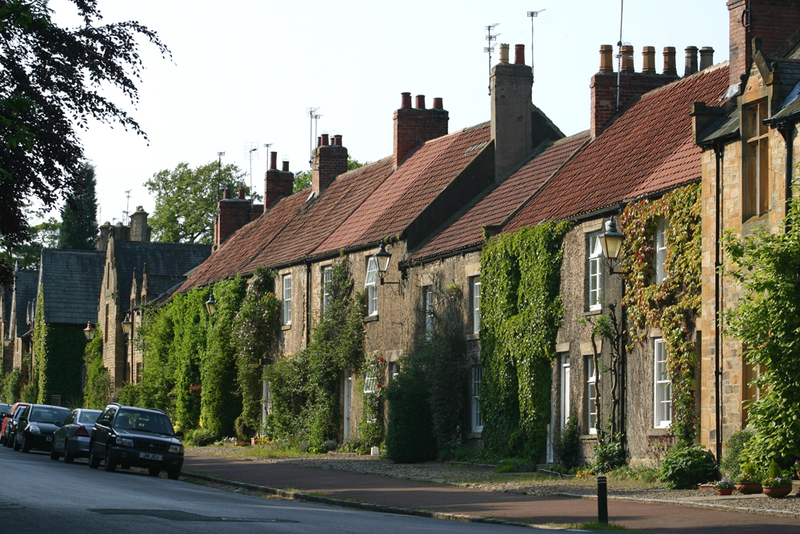 There are hundreds of fascinating and often beautiful villages of all kinds, scattered around the North East of England from the Tweed to the Tees Valley. Most people live in the cities and towns of course and there are some spectacular towns too, but we shouldn’t forget our villages. There are villages in every corner of our region all the way from the upland country to the coast. They’re not just out in the country though, you’ll, even find some hidden away within our towns and cities. 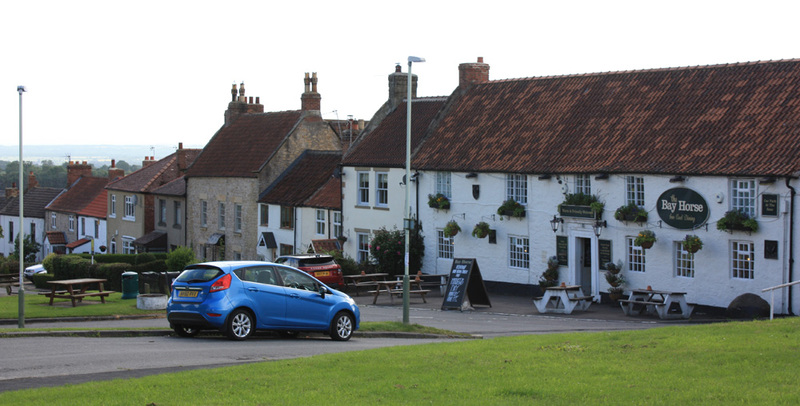 Old cottages, medieval churches, a village green and perhaps a duck pond are features often associated with older villages and of course for many the focal point is the village pub. Here we thought we’d pick out twenty unusual, interesting and sometimes surprising villages, some of which you may be familiar with and others which you may not know. We are not saying these are the best ones or even necessarily the twenty most interesting ones but they give some impression of the kind of variety of villages we have across our region. Okay, there will be few who haven’t heard of this one, but to some extent Bamburgh is a little overlooked. 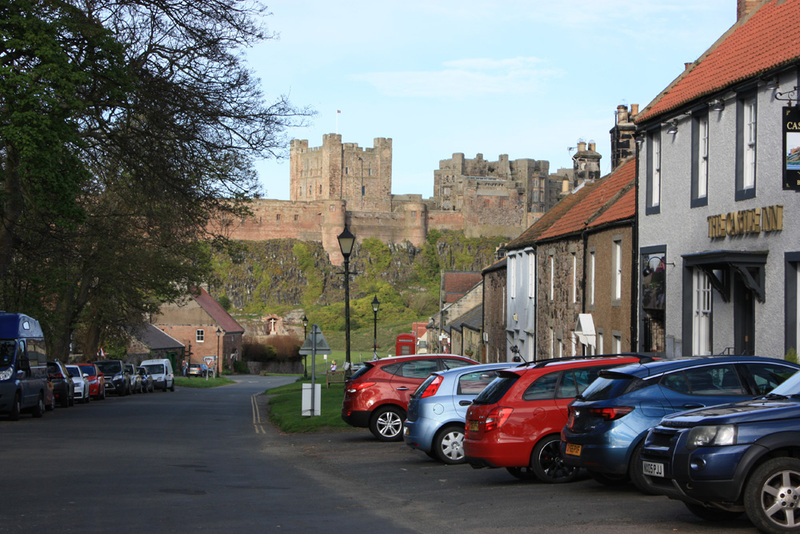 It’s overlooked by Bamburgh Castle and so spectacular is that castle that it’s easy to forget how beautiful the village is too. Lovely little shops, pubs, people playing cricket or flying kites on the huge green below the steep craggy whin stone rocks of the castle. Not to mention the beach and the view. Views everywhere. 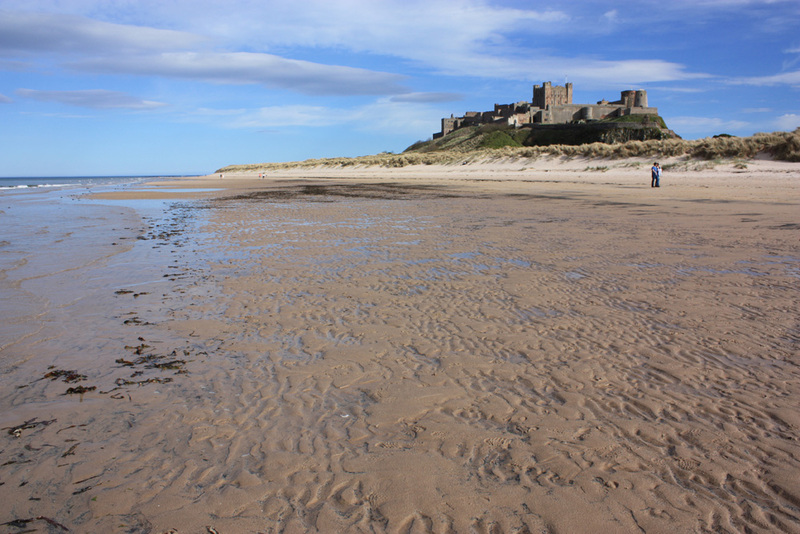 Bamburgh is Britain at its best. 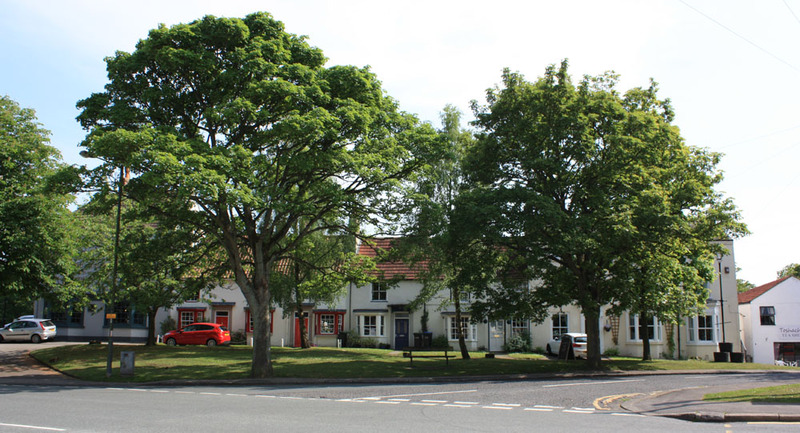 Norton-on-Tees is a very substantial and beautiful village absorbed by neighbouring Stockton. It has a huge village green and a big duck pond. There are lots of old houses surrounding it and as if that wasn’t enough there’s a splendid Georgian High Street leading up to the green with grand Georgian houses, pleasant shops and restaurants. Given its size and picturesque qualities Norton is surprisingly little known outside of Teesside. If it were part of London it would probably be rivalling the likes of Kew or Richmond and everyone would want to know about it. Oh and Norton also has a splendid Saxon church. The ‘crow chester’ of old is a fabulous fishing village. Here rugged whinstone rocks form cosy coastal cottages in this delightful place famed for its kippers. For those who don’t know, the kippers are smoked on oak chippings to give them their distinct traditional flavour. 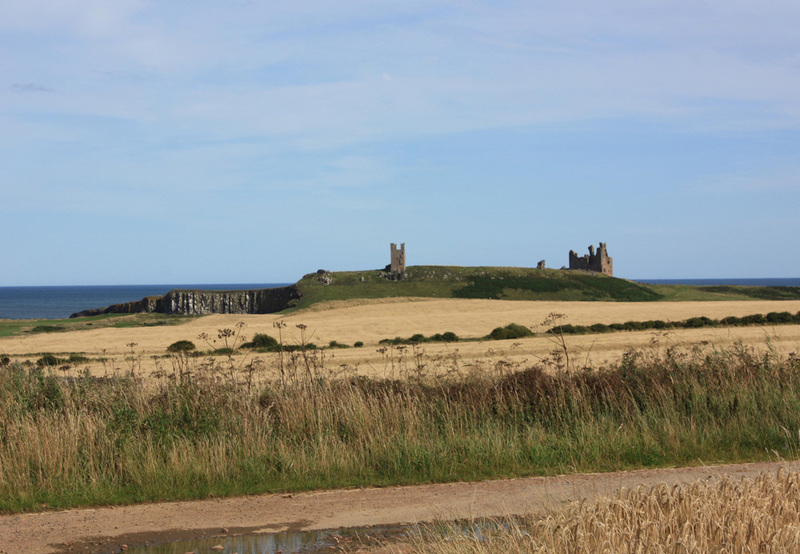 The big surprise at Craster is of course the neighbouring Dunstanburgh Castle – a magnificent and huge romantic ruin best approached by the walk from the village where visitors might follow in the footsteps of the legendary Sir Guy the Seeker. Small, but with picturesque rows of houses in what what was once the estate village for Brancepeth Castle. There’s no pub or village green here, so this is a place for people who like their villages tiny, secluded and quiet, though there is a busy road that passes straight through. The great medieval castle is still there alongside a charming medieval church though the castle has seen much restoration. 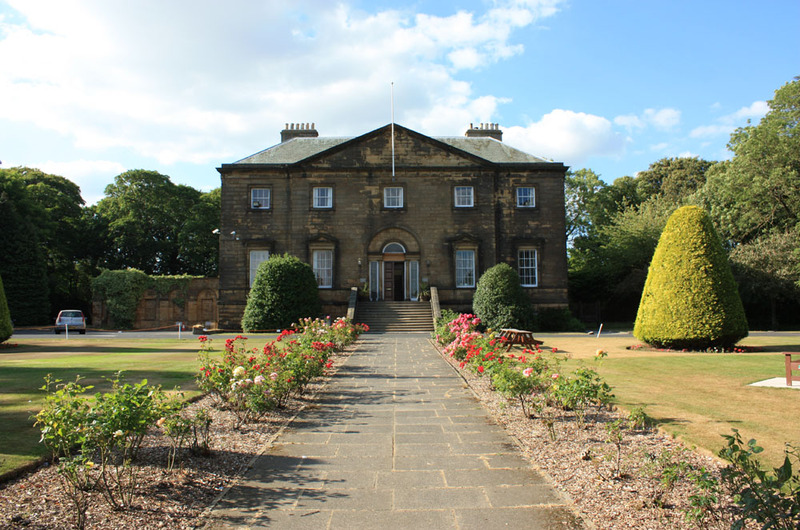 Bellingham, pronounced ‘Bellingum’ is the capital of North Tynedale in Northumberland and a great centre for exploring the area including the nearby Kielder Forest and reservoir. This is a relatively peaceful place with pleasant walks along the river. Nearby a walking route takes you to the lovely Hareshaw Linn waterfall. It’s so serene that it’s easy to forget that Bellingham was once entangled in the violence and bloodshed of the border wars in times gone by and was at the heart of ‘Border Reiver country’ with the dale being the lair of troublesome reivers like the Milburns, Robsons and Charltons of Tudor times. Yes, Billingham. People have preconceptions about certain places and when we think Billingham we inevitably think of the vast chemical works with cooling towers and clouds of steam. Billingham has much earlier origins though and on the hill top at Billingham Green we find a few (and there are admittedly only a few) old cottages of the original village of Billingham dating back to times long past. The biggest surprise here, however, is a Saxon church dating to around 1000D. It’s about a hundred years older than Durham Cathedral. Near the edge of Billingham another little-known village is Cowpen Bewley near the estuarine industries of Teesside. 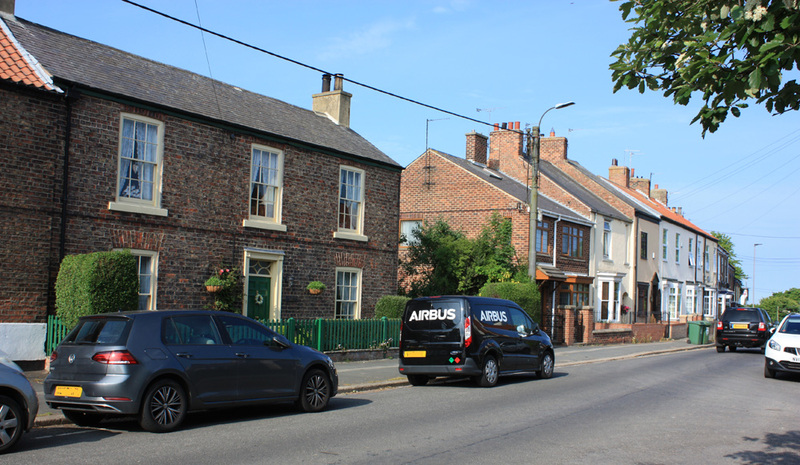 Old cottages are set around a village green and you could easily be led to believe you were in an isolated rural spot miles away from any town or city if it were not for a sudden glimpse of the Middlesbrough Transporter Bridge in a gap between two cottages. It’s pronounced ‘Coopen’ by the way! Another one of those surprising villages hidden away within a town. Think Wallsend and you think of shipyards on the Tyne or the nearby Roman fort at the end of Hadrian’s Wall. Further north from the river though we find the old village of Wallsend Green and there’s quite an extensive green with old houses plus the nearby Wallsend Hall, a mansion of the late Georgian era. Wallsend has two old churches of note but these were built at a distance from the village. Wallsend’s medieval church of Holy Cross fell out of use with the Wallsend natives who used the local school for marriages for many years. It was only when the Bishop of Durham pointed out that the school was not consecrated and that their marriages and baptisms were not valid that they hastily built a new church dedicated to St Peter to the south towards Willington Quay. Holy Island Village on the island of Lindisfarne is something quite special, in fact ‘magical’ is perhaps the word. Charming houses and little shops with views of the rugged castle on Beblowe rock and the romantic ruins of Lindisfarne Priory. Given all the natural and historical charms of the island it’s easy to forget that it’s also the home to a rather picturesque little village too. 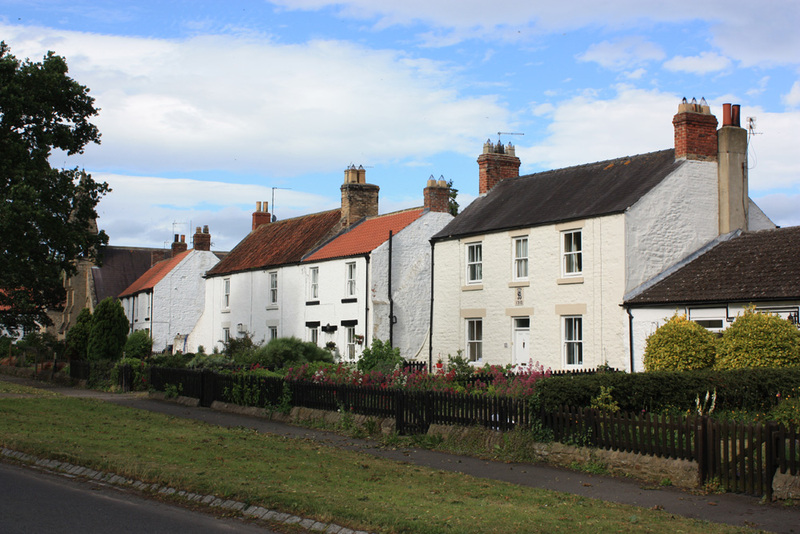 Whitburn in South Tyneside close to the coast and near the northern fringe of Sunderland is a fabulous village with all kinds of interesting old buildings and the overall impression is delightful to the eye. The architectural historian Nikolaus Pevsner described it as “uncommonly attractive” in his famous guide books to the Buildings of England. Whitburn has a thirteenth century church, some wonderful Georgian and Victorian houses, a curious cottage of red brick, a beautiful village green and even a windmill complete with sails. There are also literary links to Lewis Carroll who had relatives that resided here. 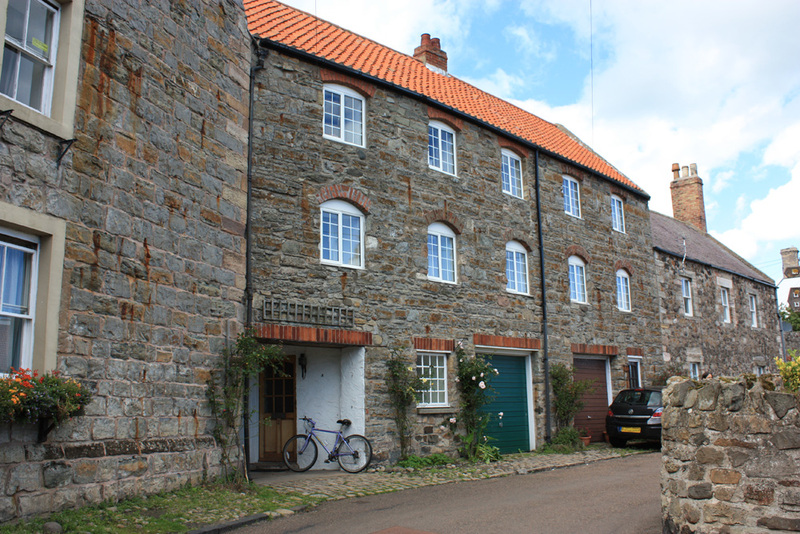 The nearby village of Cleadon is also rather attractive and has links to Charles Dickens. Blanchland is situated in the Pennine dale of the Derwent in the south western area of Northumberland and is just over the border from County Durham. It is a rather exceptional and beautiful village constructed within the ruins of a medieval monastery. In Georgian times the charitable trust of Lord Crewe, a Bishop of Durham used stones from the abbey of Blanchland to construct a model village and the result is simply sublime. 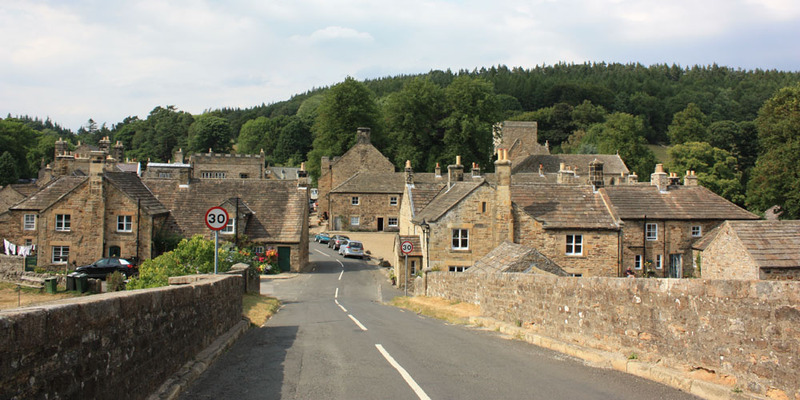 Highlights of the village are the L-shaped piazza, the old monastery gatehouse, the abbey church and the lovely Lord Crewe Arms. Picturesque, it is almost a Hollywood producer’s vision of what an old English village should look like but very rustic, elegant and real. 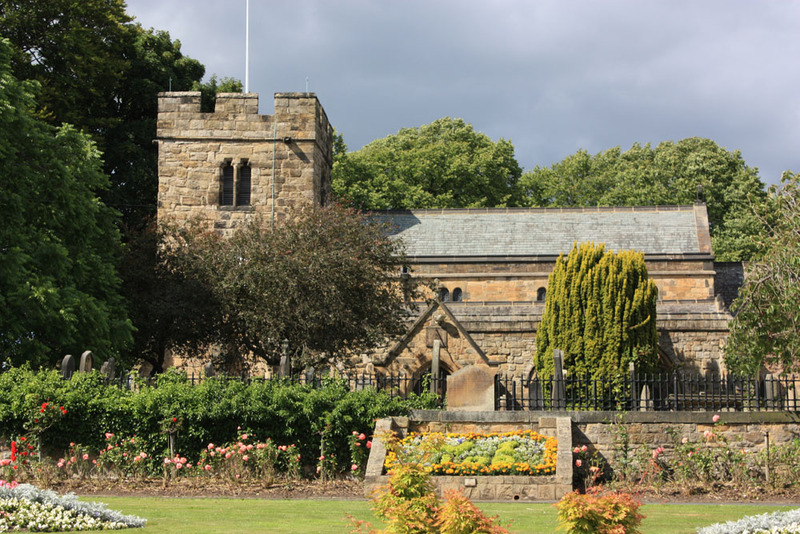 Though it is arguably and technically a town, the large village green and Georgian cottages and village-type pubs that cluster around the green give Sedgefield an undoubtable village-like feel. There are some wonderful old Georgian houses and narrow lanes, grander houses and interesting nooks clustered around the green. Our favourite story concerning Sedgefield concerns the ‘Pickled Parson’, a deceased vicar who was preserved in either salt or brandy by his good lady wife so she could avoid paying a particular tax. 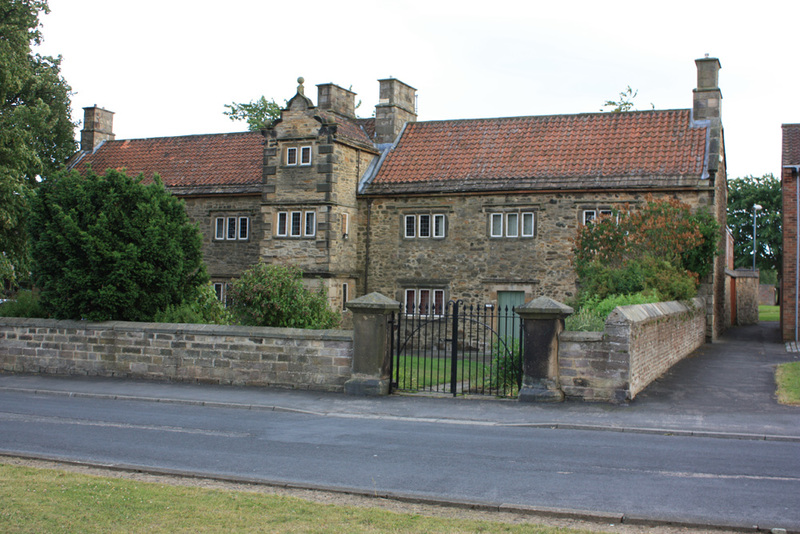 Gainford is a very attractive former spa village near Darlington with a fine Jacobean hall. 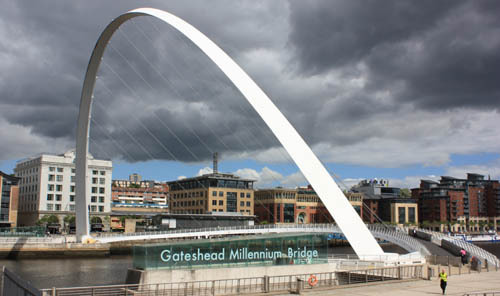 Situated on the River Tees its neighbours further downstream include High Coniscliffe, the ‘cliff of King Edwin’ and Piercebridge the site of a Roman fort and bridge that was once the home to a clock that inspired a famous song. I love the name of this one. There’s a New York Post Office and a New York Convenience Store. Several of the old mining villages across the region have some fabulous names: Pity Me, Quebec, Toronto, Philadelphia, Coronation, No Place. 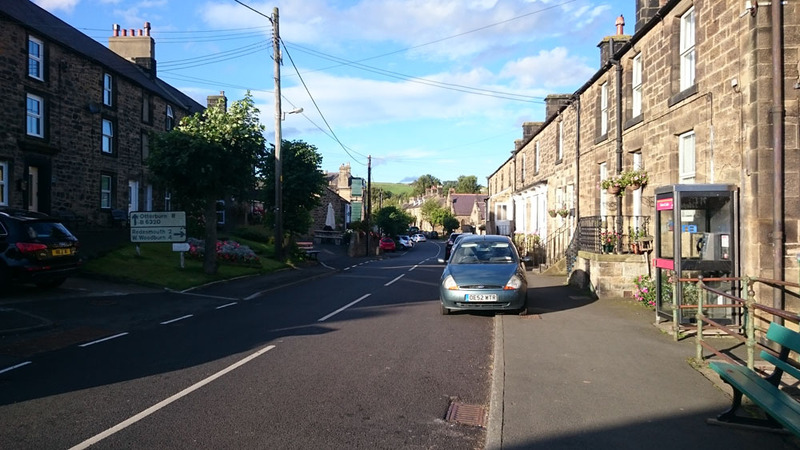 Many are tight knit neighbourly friendly communities often with fabulous scenery right on their doorstep. I live in a former mining village, so I know this for a fact. Centred around a fine village green West Auckland is a former mining village that developed from an older village centre. Most people may know that West Auckland’s local football club won the world cup – twice. It’s commemorated by a sculpture at the centre of the green. There’s some interesting buildings of note here too. 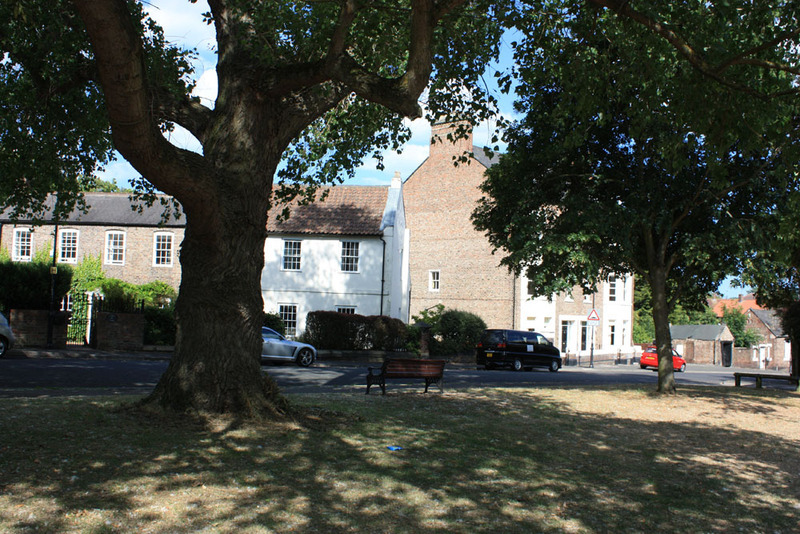 West Auckland’s Old Hall and the Manor House are both substantial buildings dating from the 1600s. 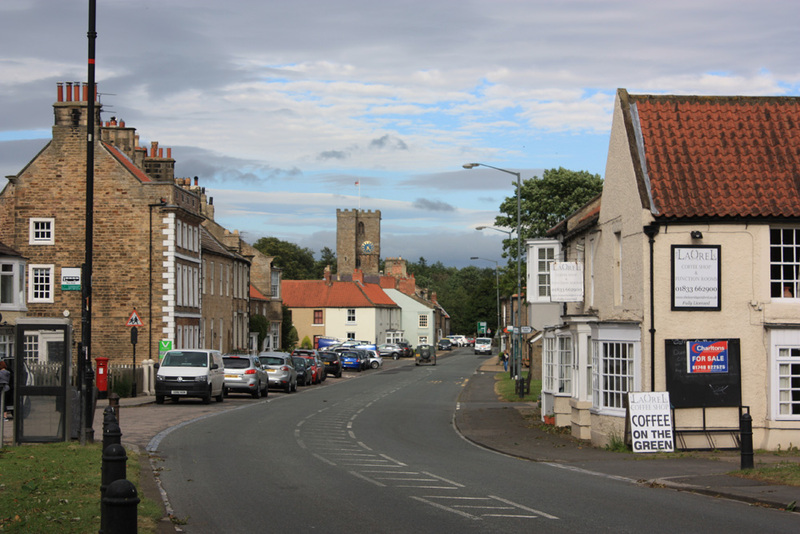 Once the capital of a district called Heighingtonshire in south Durham, Heighington near Darlington is a rather lovely village with a broad undulating green, a medieval church and lots of old interesting houses. 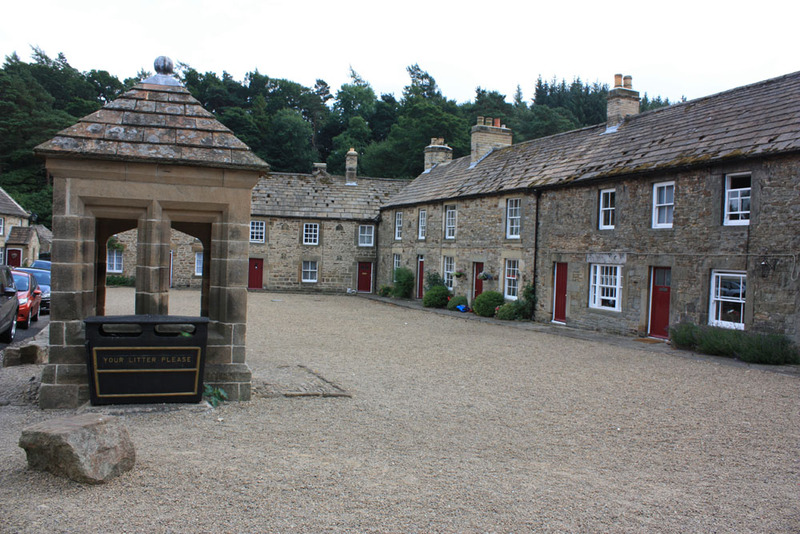 A small village, this is the original Beamish, near to the famous museum. 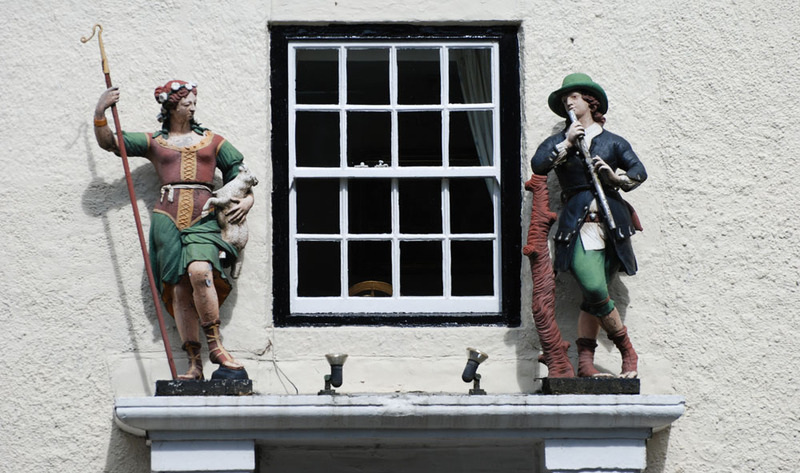 We love the eye-catching figures on the Shepherd and Shepherdess pub and the former almshouses nearby. A fairly small village but still bigger than ‘Beamish Town’ that is found within the museum grounds. 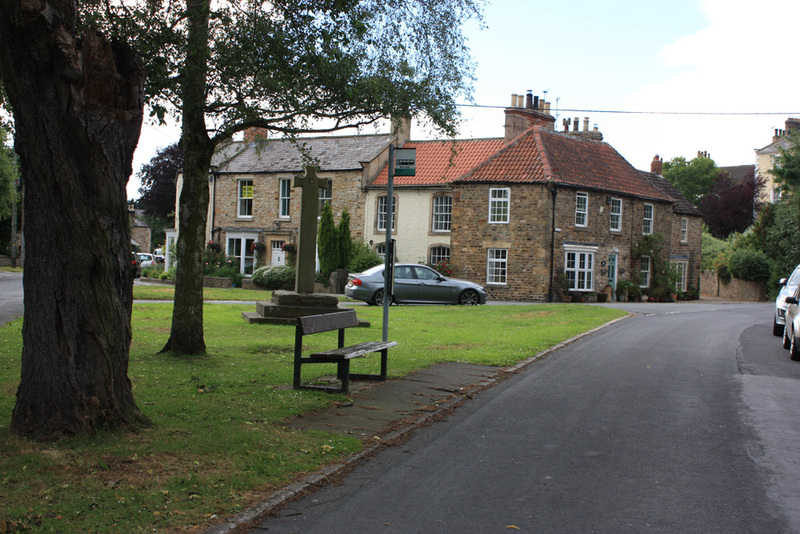 Whickham village near Gateshead on Tyneside was at the heart of a major mining area from as early as the 1600s. 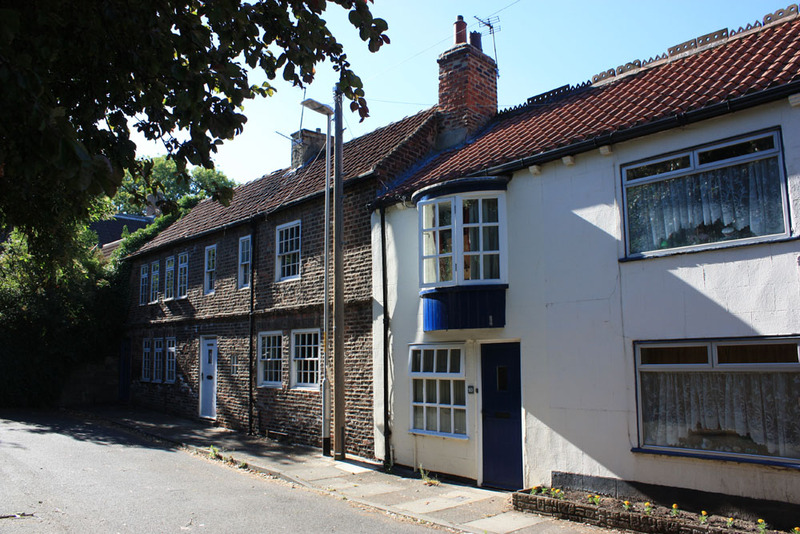 The lovely stone houses of the 1700s around Church Chare, Front Street and Rectory Lane, are reminders of Whickham’s rural roots. 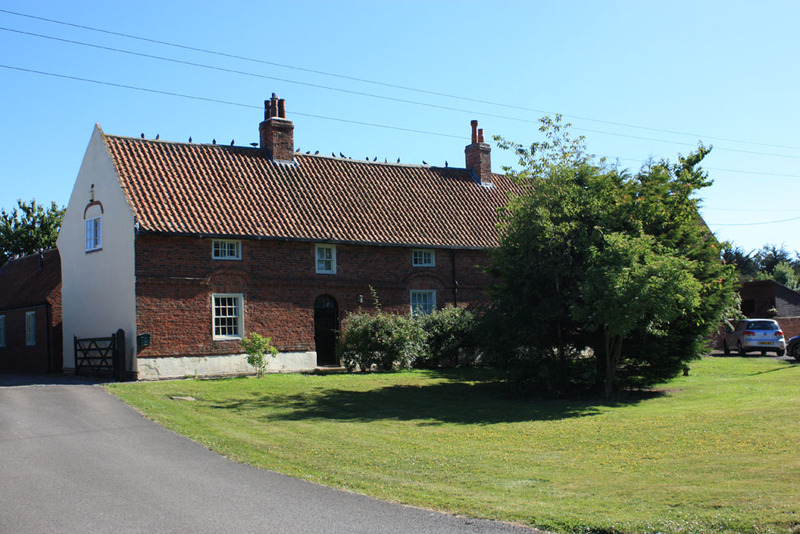 Situated on the magnesian limestone hills just outside Hartlepool with great views out to sea little Hart village was closely tied to Hartlepool and perhaps the capital of the ancient district called Hartness. There’s a beautiful little Saxon church, a windmill, an interesting couple of pubs and the scant remains of a medieval hall that belonged to the powerful De Brus (Bruce) family. A substantial old village and a place of significance in medieval times, being the estate village of Raby Castle, the ancient stronghold of the Nevilles that is just along the road. The church of St Mary at Staindrop (once dedicated to St Gregory) is a sizeable and impressive medieval edifice with a core dating back to before the Norman Conquest. Backworth mining village was perhaps made famous by the fictional character ‘Geordie Broon of Backworth’. There are some interesting old houses in the village but perhaps the biggest surprise is the Miners’ Welfare building in a beautiful stately hall that was purchased by the local mining community in the 1930s. 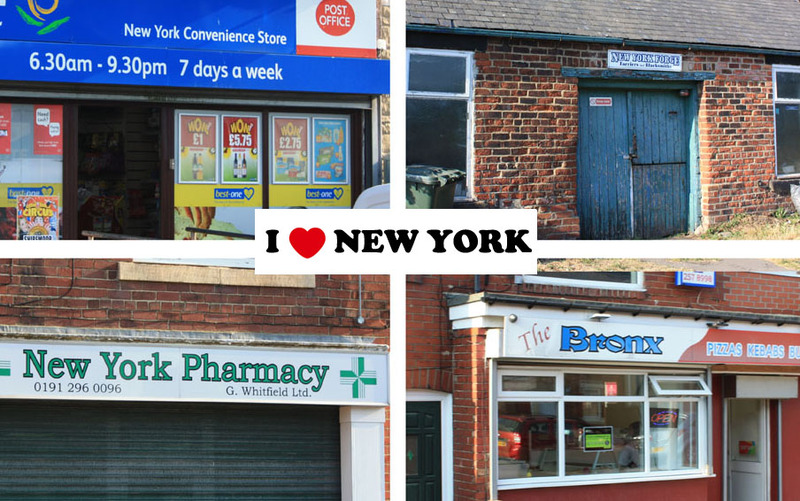 What’s your favourite North East village? 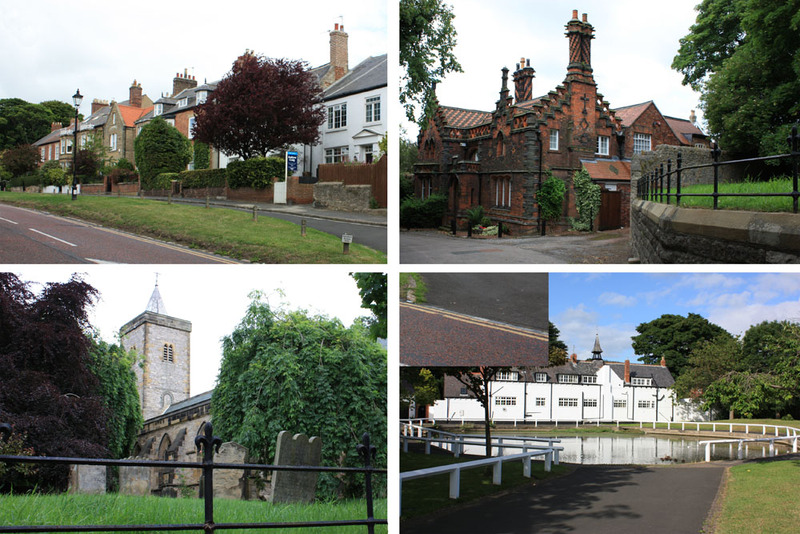 This is just a selection of North East villages and a bit of a random one at that. 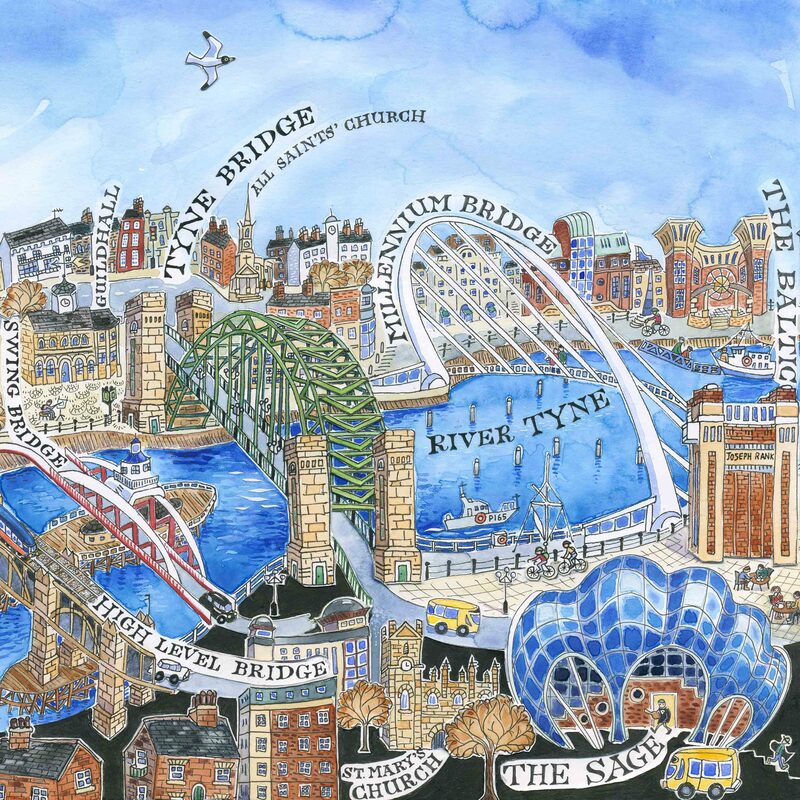 What’s your favourite village in the North East? 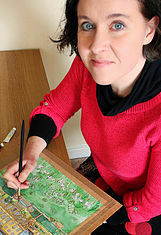 How about Cambo or Lanchester, Norham on Tweed, Alnmouth, Elsdon, Ford and Etal or Longframlington? Maybe Castle Eden or Westoe, Rennington, Ellingham, Matfen, Shincliffe, Frosterley, Romaldkirk or perhaps the old village at Ponteland. Imagine going for a job interview where you weren’t allowed to say anything about your past, an interview where you couldn’t say anything about your past achievements or the challenges you faced or the ways you’ve inspired and motivated people. We will allow you to say that you’ve got all the right attitudes and ambitions and that you have all the right skills in place but how are you going to prove it? Well it’s going to be hard especially as the competition, under the same restrictions, will be saying exactly the same things as you. So how are you going to demonstrate that you’re unique, that you’re special that you’re different? Well, you’re going to struggle when it comes to saying something interesting and unusual about yourself. Of course in business there are no such restrictions, people want to known about your past because it demonstrates who you are, what you have achieved and what you might be able to achieve in the future. Now, this is what frustrates me as someone with a passion for our region’s history. You see, surely the same goes for our region too? When it comes to marketing our region to the world we shouldn’t be coy about our history and past achievements, there’s no rule to prevent us from speaking of our past. We can be selective of course, who wouldn’t be? However, we shouldn’t be shy about it. The problem is sometimes we forget what we’ve actually achieved and it’s a good idea to refresh the memory now and again. It’s a great boost for confidence. Look we’re in a market, competing with places across the world and when I say we, I mean all of us because everyone who lives and works in the region or even those who are just visiting are at some level potential ambassadors for the North East. We can all play a part in telling the world our great story and all the great things that we can do and all the great things that we have achieved in the past. Yet there still seems to be a lot of amnesia around, forgetfulness or perhaps a lack of confidence in our story. The present, like the future is very important of course and in attracting investment to our region it’s great to say we are home to world leading companies: Nissan, Siemens Procter and Gamble, Hitachi Rail Europe and many more. It’s great to talk about our fabulous highly-skilled workforce, our partnerships, our infrastructure, transport networks, ports, airports and of course our world class educational establishments. This is all good and we can be particularly proud to say that in our region it is often more than enough to get the world to sit up and take notice. The thing is, though, just as with the job interview, you can guarantee that all the competition are all telling a similar story even if they may not be telling it quite so well. So when it comes to the opportunity to demonstrate something unique, something different and special about ourselves as a region it’s a chance to share the extraordinary links and influences that we often have with the wider world. It’s here that we have an opportunity to shine and this is where our past comes into play. Now I think in the world of business, history is too often seen as something of a novelty sideshow, or a dust-laden trinket that we bring out now and again to show off like a half-loved antique. It can be seen as something that is beneficial to our tourism industry and little else besides. 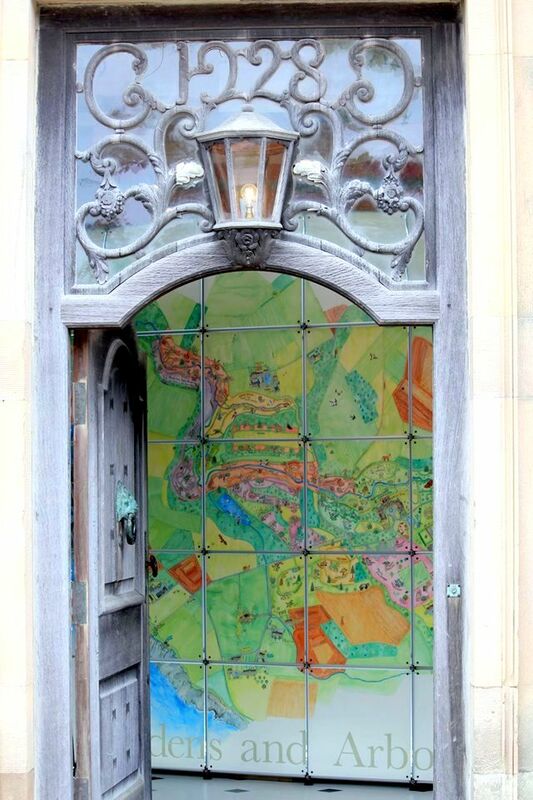 The exception perhaps is in its contribution to our region’s townscapes, landscape and inherent beauty which we are not quite so shy to promote. Marketers have recognised these visual attributes and this has been demonstrated by the impact of skilled photographers and film makers who have showcased the region’s glorious attributes in wonderful stunning, panoramic colour. This is great, it helps attract people to our region to see what it’s really like and that can only be good for business. So we love the stage setting that is the North East but we also need to remember the rich array of stories and achievements from the past that this grand stage has hosted. We need to tell those stories boldly and with confidence. In our region we have a phrase ‘Shy bairns get nowt’ which means if you don’t ask for things or if you don’t speak up with confidence, you will not receive. Ironically, it’s one of our region’s favourite phrases, yet too often we are rather shy about speaking up about our achievements. We are shy about asking for the recognition we deserve. This is certainly true when it comes to our history. 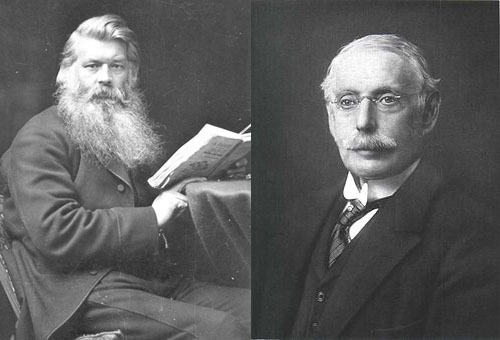 For example here in the region we pioneered electric light for the world: the story of Sunderland’s Joseph Swan; Newcastle’s Moseley Street; the Lit and Phil; the grand mansion at Cragside in Northumberland; a Benwell light bulb factory and even a house in Gateshead that’s now a care home played a massive, massive role in bringing electric light to the whole world. Yet all we ever hear about is the famed American inventor, Thomas Edison who seems to have that famous light bulb permanently and unreservedly screwed tightly in a permanent place above his head as if it was his idea alone. Our role in this world-changing era of history was every bit as important as the contribution of Edison and yes, I dare say it, probably more so. It’s shameful that Britain as a whole knows so little about this and this may be partly due to our region’s ‘shy bairn approach’ when it comes to recognition of our cultural and scientific achievements. Then we have the railways and the first public railway ever, which opened here in the region. There are arguments of course but the Stockton and Darlington Railway was there before its counterpart from Liverpool to Manchester that we hear so much more about. Is it because those two cities are seen as less provincial than the twin Tees Valley towns? Why? It’s probably down to our modest, shy bairn values again. And even before those railways, we had the unique ‘Newcastle Roads’, the west’s first railways, horse drawn wagonways that existed here in the region long before the days of locomotives. And we may continue: Stephenson’s Rocket was the victor at Lancashire’s Rainhill railway trials as every school child knows it, but too often we forget it was built on Tyneside. So let’s speak up. And then there is our present year 2018 and next year 2019 and so on and so on. Yes, even that is down to us. How? Well it was a Northumbrian scholar and saint – arguably the most influential man in his time – that popularised the system of dating our years from the supposed birth of Christ. Yes, it was Jarrow’s own Bede that brought about the adoption of this system of numbering our years that came to be used across Europe and subsequently the entire western world. Just think about that, that’s a pretty major contribution to our world as we know it today. 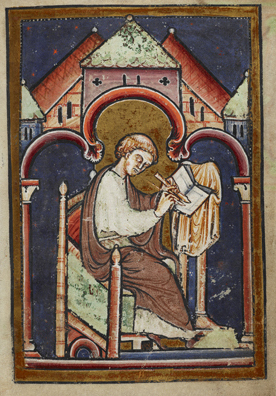 Bede, incidentally, also had the distinction of being the very first English historian as well. He was the first English historian in the whole of the English speaking world and by the way, he knew, quite confidently, that the world wasn’t flat. There are so many things our region has given this world. Sometimes they are major industrial developments, sometimes they are quirky cultural contributions but they are all worth knowing and sharing as part of our story. We must make sure our young people know these stories and that every businessman and every ambassador at every level knows them too. 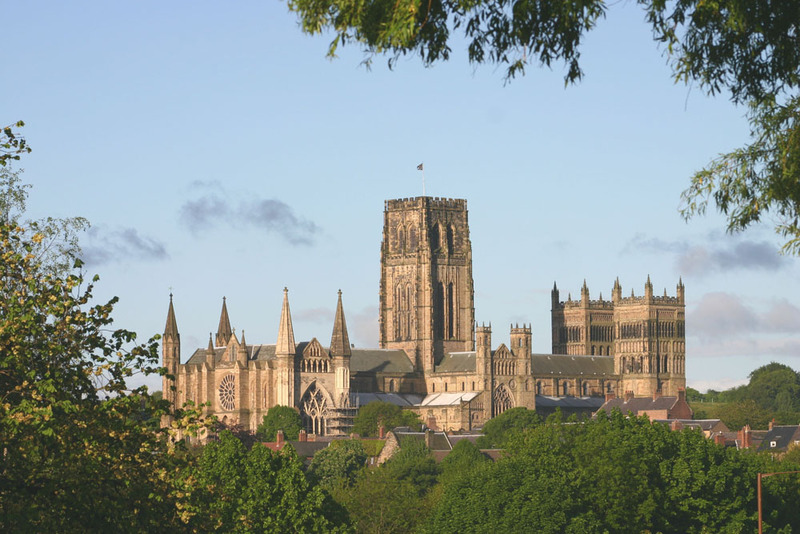 What about the world-changing architecture of Durham Cathedral or James Cook’s discoveries in the Pacific and Australia? How about Washington, the world’s most influential capital, which traces its name back to a small North East village? These are all part of the story of the world. Let’s not stop there. Think about Durham lad, Jermiah Dixon who created the Mason-Dixon line which divided the north from the later ‘Dixieland’ of the south in the American Civil War, or Redcar and Washington’s Gertrude Bell who drew up the borders of Iraq. How about the region’s part in the development of football across the world? What about the first ever football World Cup – won by a team from a Durham mining village. We could talk about the starring role the region has had in the movies, whether it be Sycamore Gap on Hadrian’s Wall or the majestic Bamburgh Castle, not to mention the role of Alnwick Castle and Durham Cathedral in the Harry Potter movies. 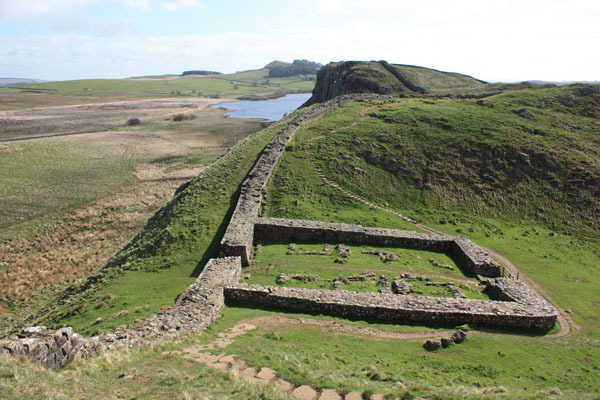 Oh yes, Hadrian’s Wall, almost forgot, the world’s largest Roman archaeological feature marking what was once the northern boundary of Europe’s greatest Empire. 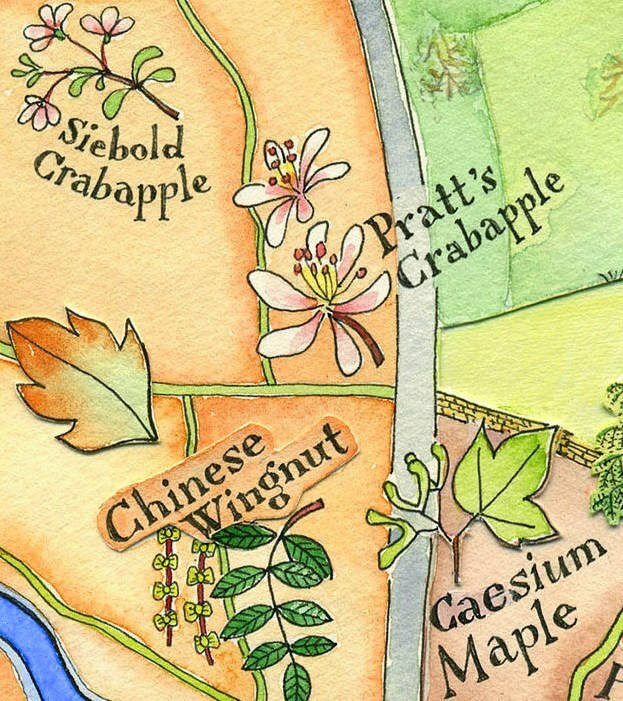 We could talk about our language and dialect too which has some of the oldest English features in the English speaking world. Indeed some of these features date back to Bede’s time. Surprisingly the Northumbrian language had a profound influence on the speech of Scotland rather than the other way around. I mention this because it’s a reminder that we played a big role in some notable developments in the world’s most influential language. In fact even our darkest periods have had some impact on language in this respect. Think about the battle-worn Border Reivers of Northumberland, Cumberland and the Scottish Borders who in times past brought into use phrases like ‘blackmail’ and being ‘caught red-handed’ a colourful and interesting feature of our language and our past. Alright, perhaps our connections to such phrases are something we might want to reveal with caution in the world of business. Well ok, what about all those reiver surnames that still proliferate across the region today? You are going to encounter them everywhere. Reiver names can now be found all across Britain and the English speaking world in America, Canada, Australia, New Zealand and elsewhere. There must be millions of people with these name but how many of them know their connection to our region and know that our fascinating story is also a big part of theirs. So if you’re doing business with an American Armstrong or an Australian Robson, or a Charlton, a Milburn, a Shaftoe, a Hetherington – there is a long list of names – it might be worth mentioning the connection. It’s an unusual opportunity to connect with our region and it is in my view one of the great untapped selling points of our region. So when asked at that interview if there’s anything unusual or interesting we might say about ourselves as a region, we can see that we have plenty to say and plenty that we might share beyond the wonderful attributes of our workforce and our infrastructure. However, we do need to lose the amnesia, embrace our history and start remembering our story. We need to be unashamedly proud of our past. Just remember that ‘shy bairns get nowt’ and lets start speak up about our past achievements. You never know; it might just get us the job.